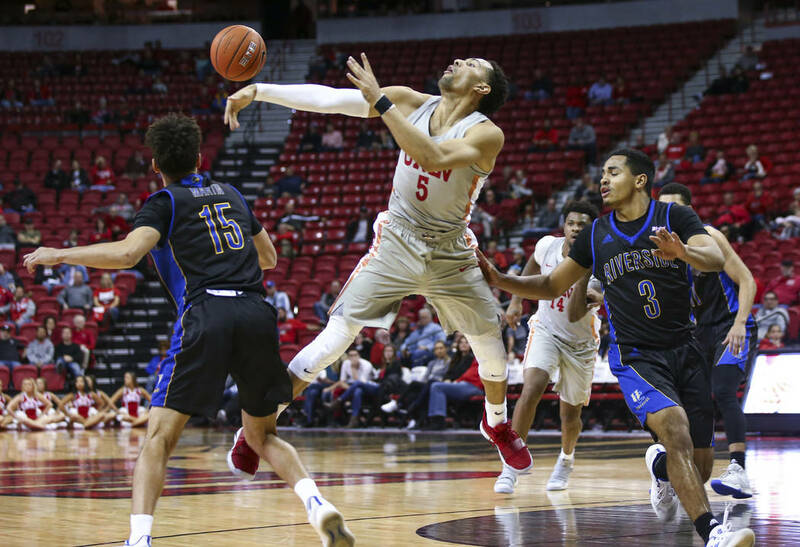 The Rebels weren’t able to generate a whole lot of offense in a brutal season-opening loss to Loyola Marymount on Saturday. 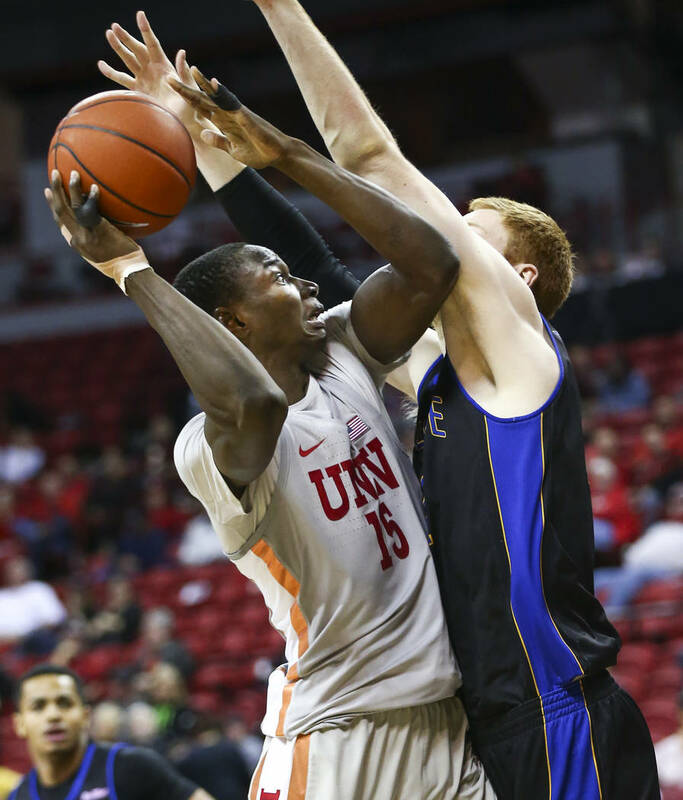 Coach Marvin Menzies found it on his bench Tuesday. 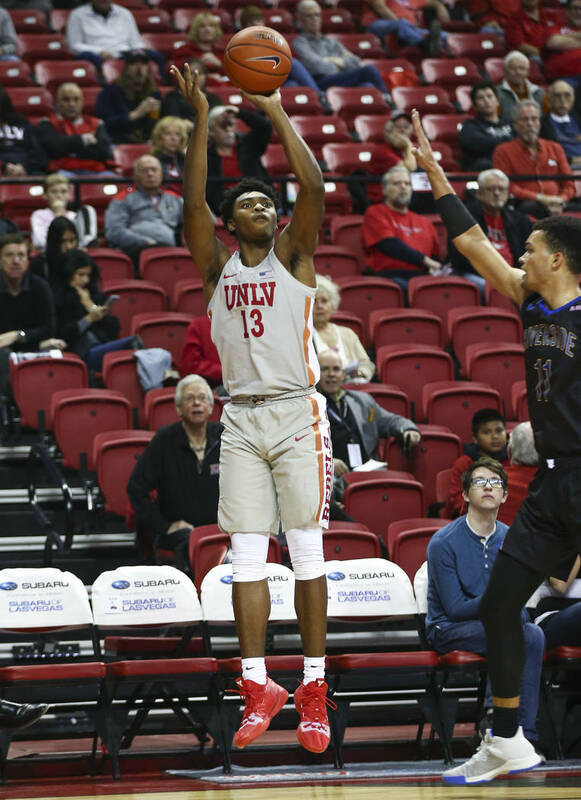 Freshman Bryce Hamilton and sophomore Tervell Beck combined to shoot 9-for-9 and score 27 points as UNLV evened its record at 1-1. 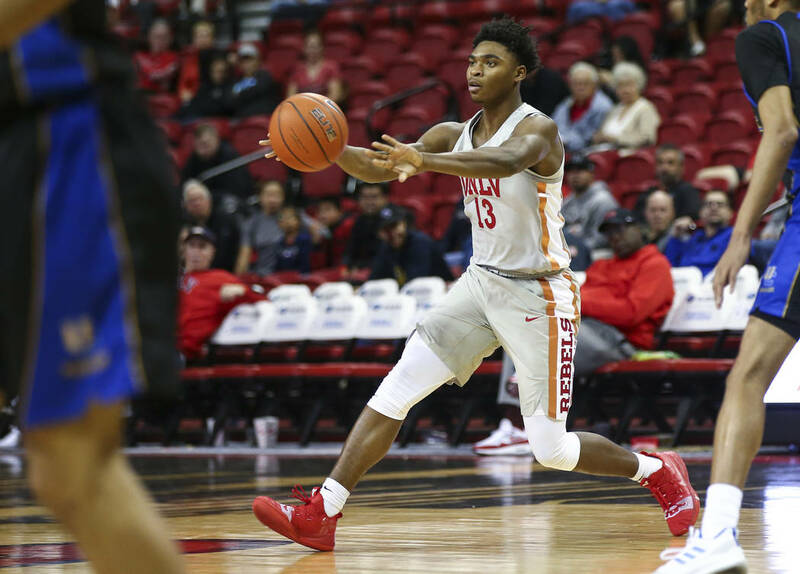 It was a breakout performance for Hamilton in particular after he was held scoreless on three shots and played six minutes in his collegiate debut on Friday. 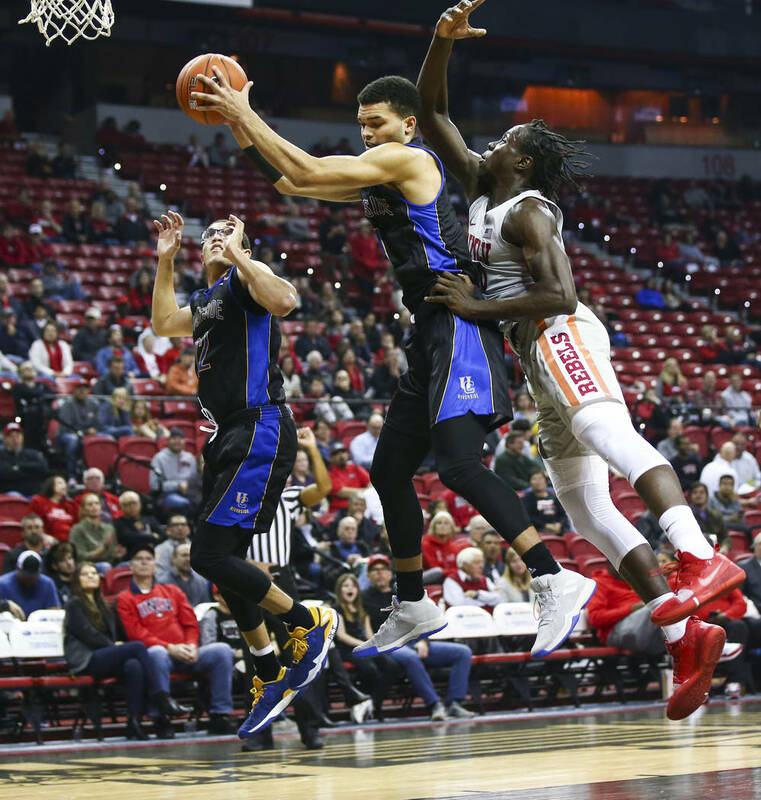 He finished with a game-high 16 points Tuesday as he made all five shots, including three 3-pointers in 23 minutes. 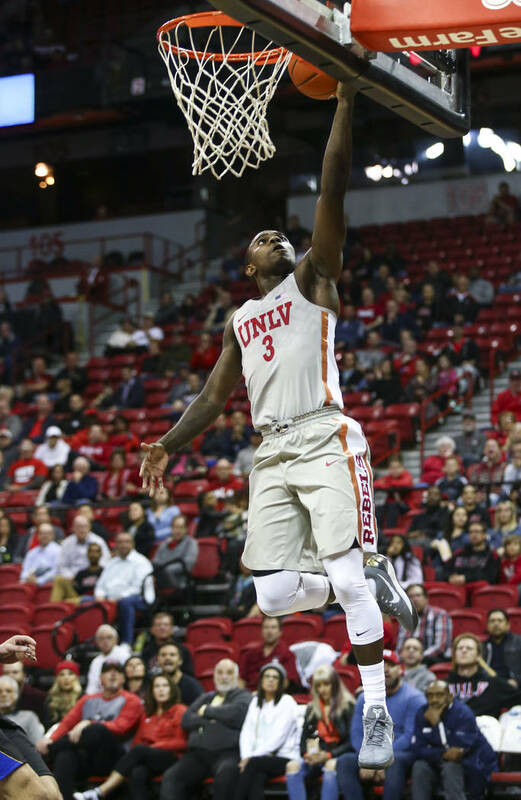 The Pasadena, California, native had eight points to key a 12-0 run in the second half to help the Rebels pull away. 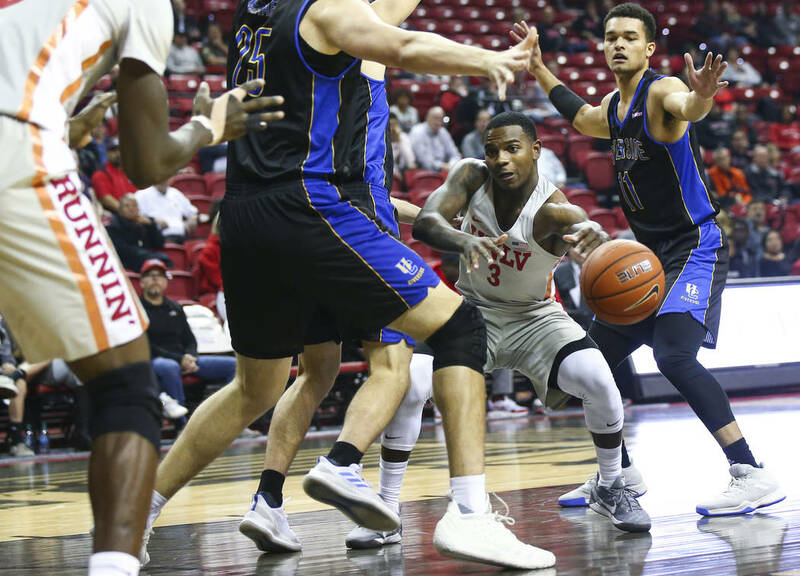 Menzies said Hamilton earned his minutes. 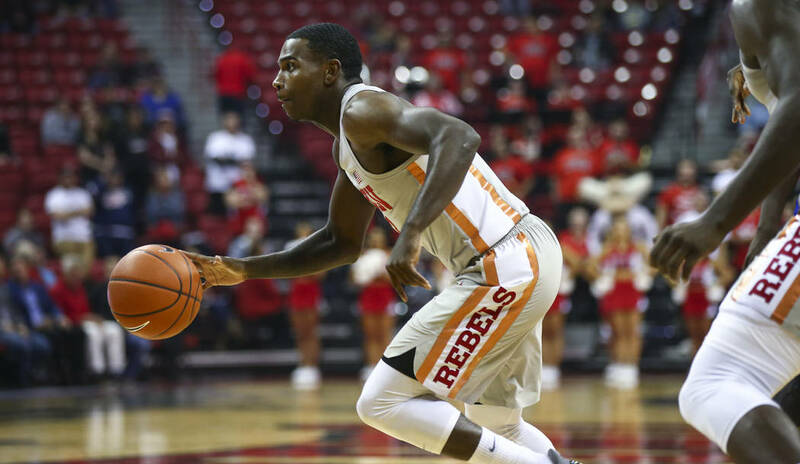 Beck, the only other Rebel in double figures, made both of his 3-point attempts and finished 4-for-4 shooting with 11 points. 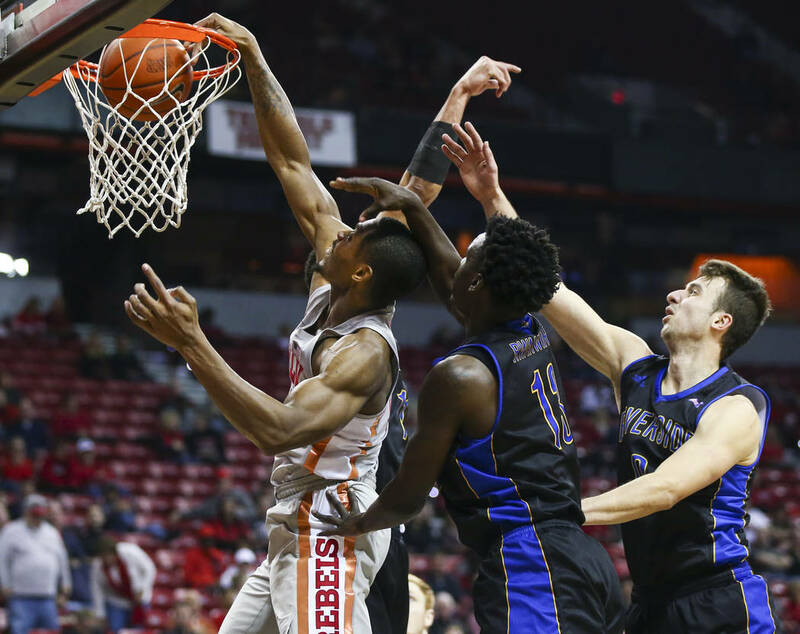 He had seven points in the first 7:30 to help spark the offense. 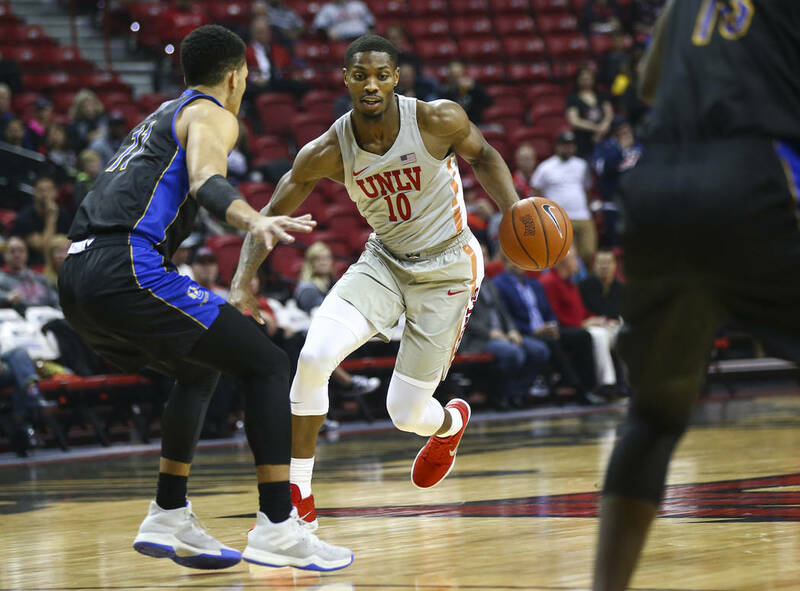 Turnovers were a massive reason the Rebels dropped the season-opener to Loyola Marymount on Friday as they coughed up the ball 24 times. 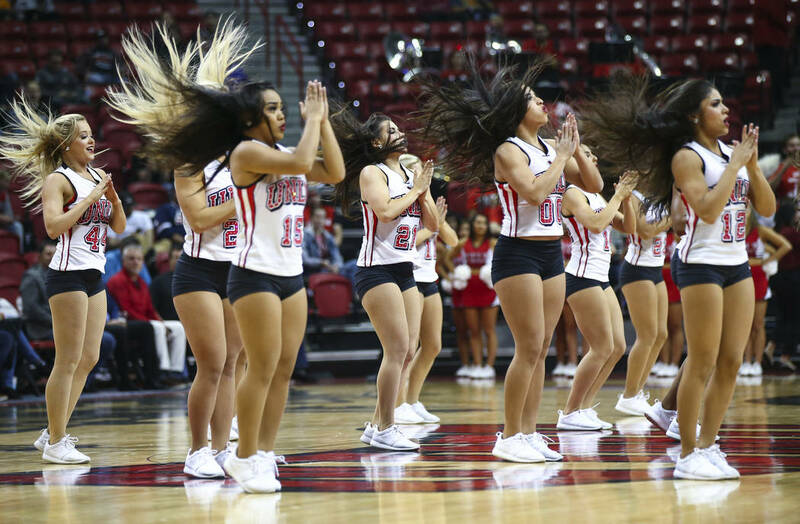 The seniors were the biggest culprits. 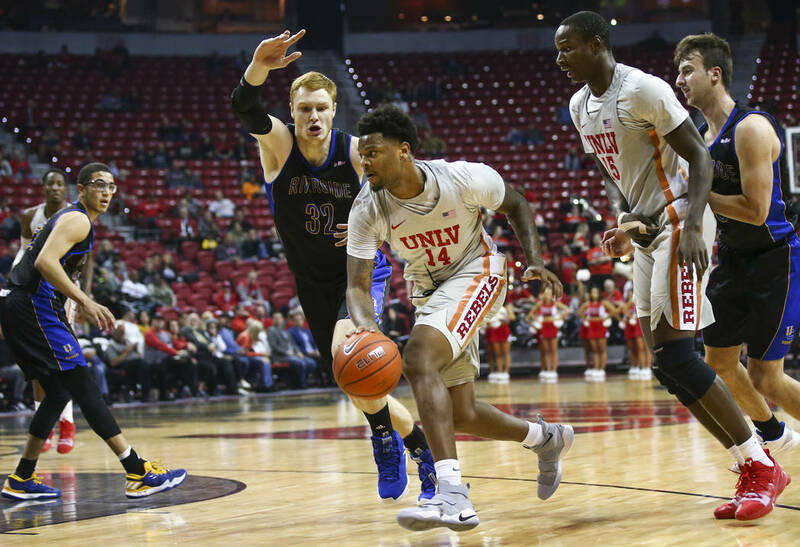 Noah Robotham, Shakur Juiston and Kris Clyburn combined for 16 turnovers with Robotham the worst offender with six in his UNLV debut. 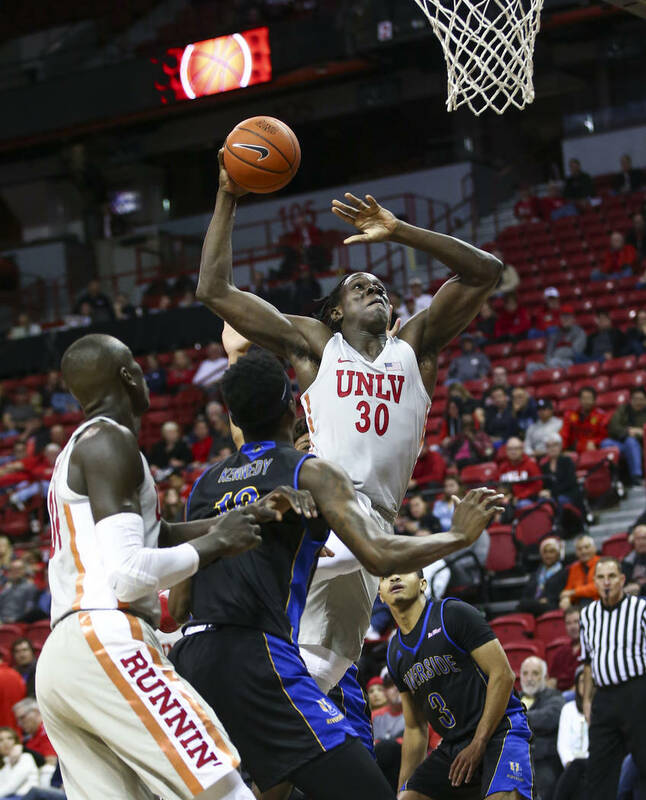 The Rebels committed 13 turnovers on Tuesday with that trio responsible for just six. 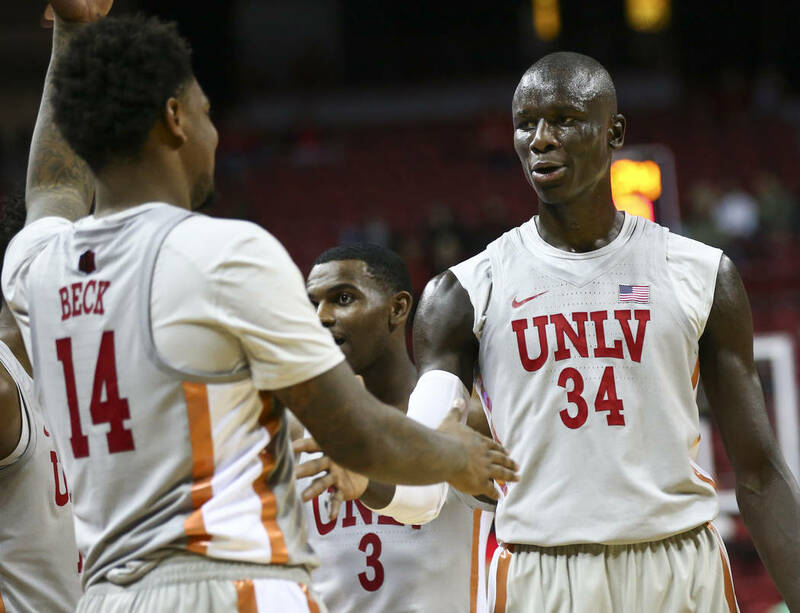 The seniors did set a better overall tone for their younger teammates on Tuesday. 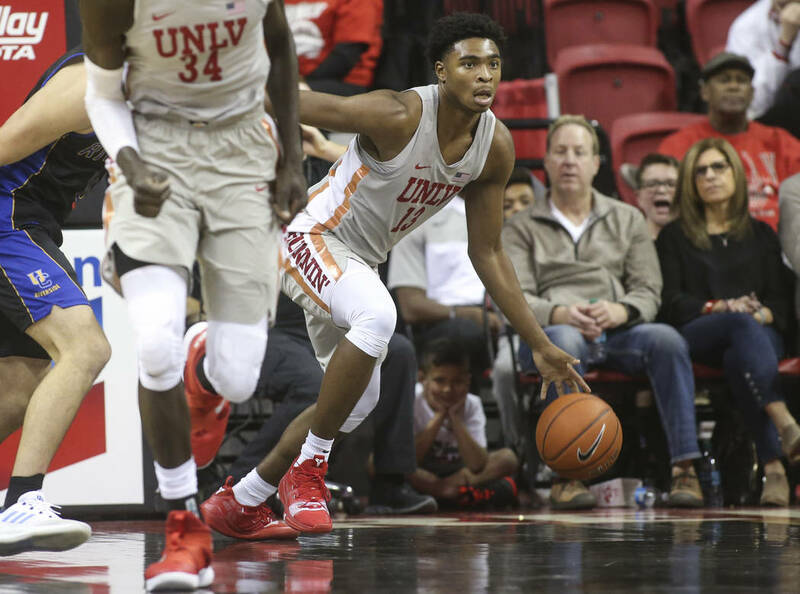 After a spectacular junior campaign, Juiston was expected to take on a much bigger role this season. 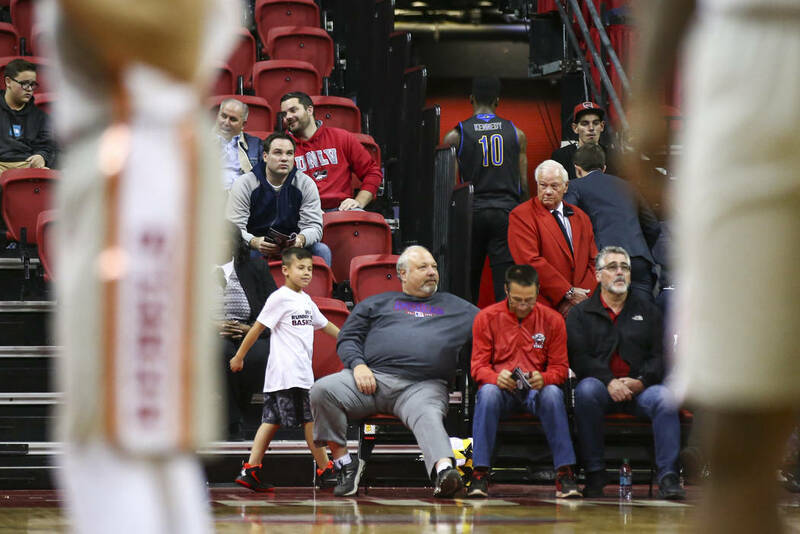 It just hasn’t clicked for him yet. 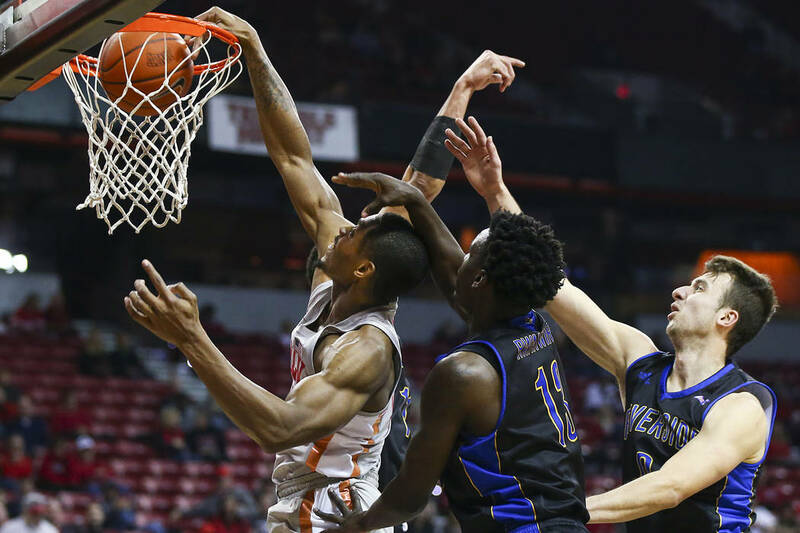 Juiston went 2-for-7 from the field and finished with six points and six rebounds in 28 minutes after a 12-point, seven-rebound effort on Friday. 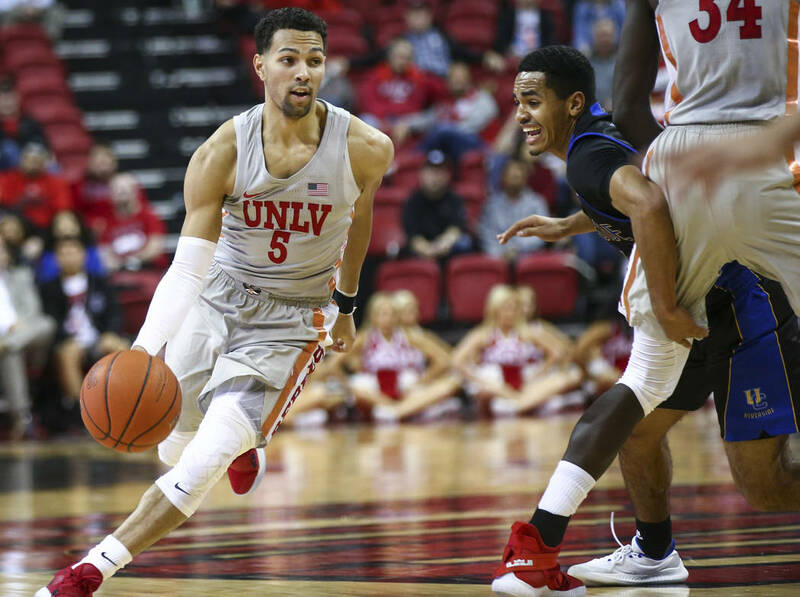 He’s shooting 39 percent through two games after making 64 percent of his shots and averaging 14.6 points last season. 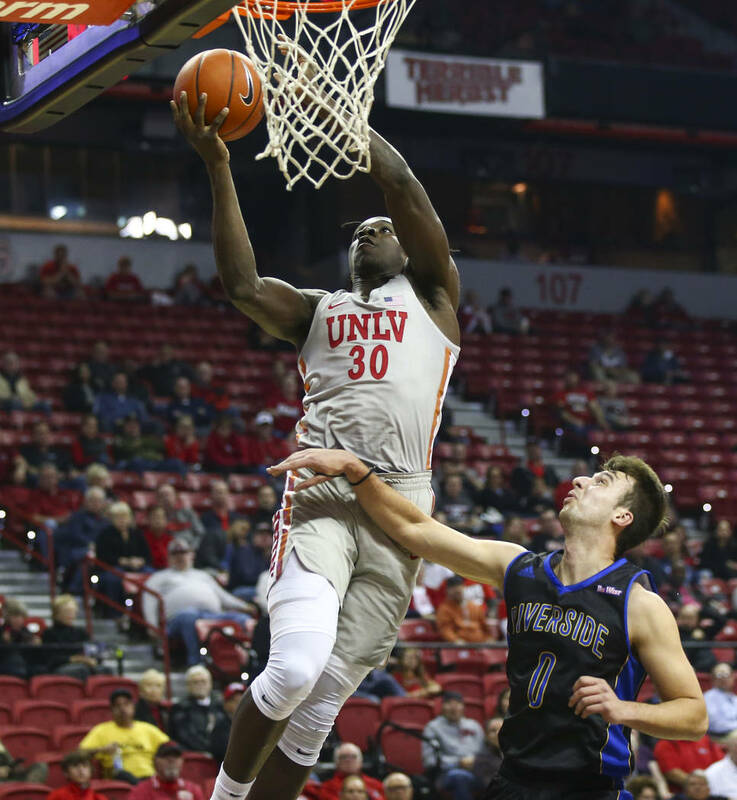 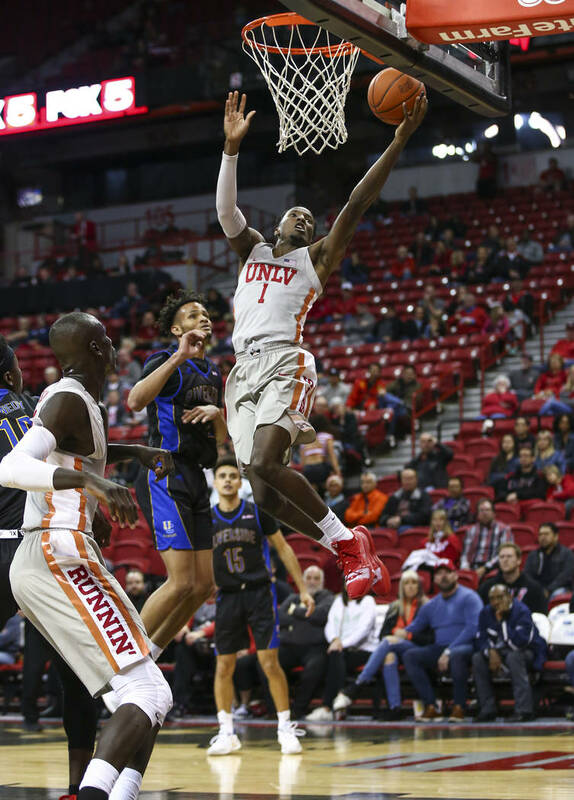 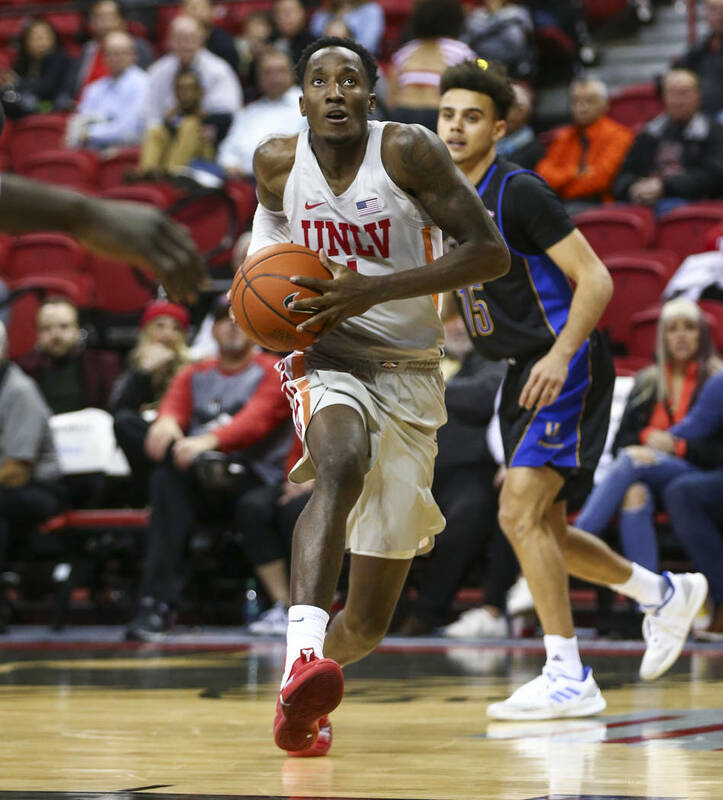 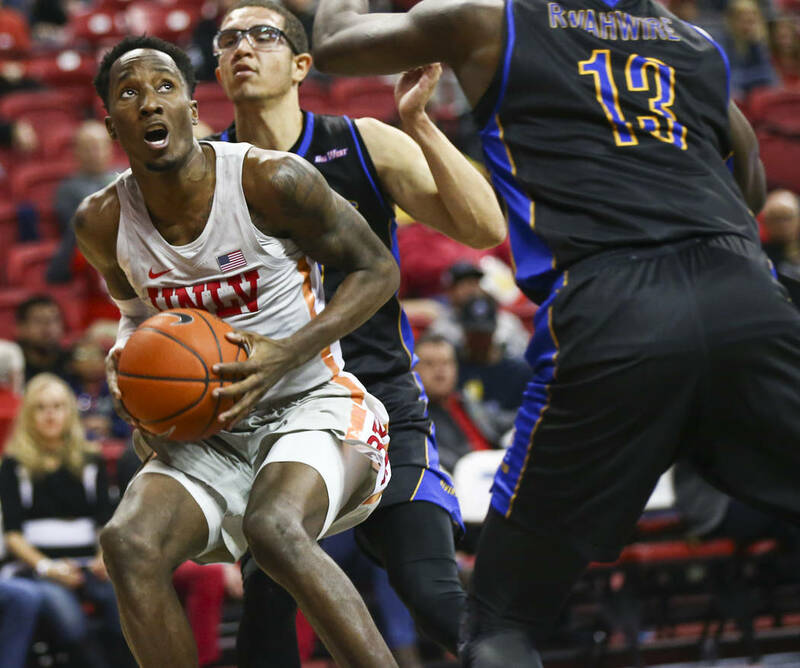 It was expected he would be more assertive in the offense after frontcourt mate Brandon McCoy and his 17 points per game left UNLV to turn pro after just one season. 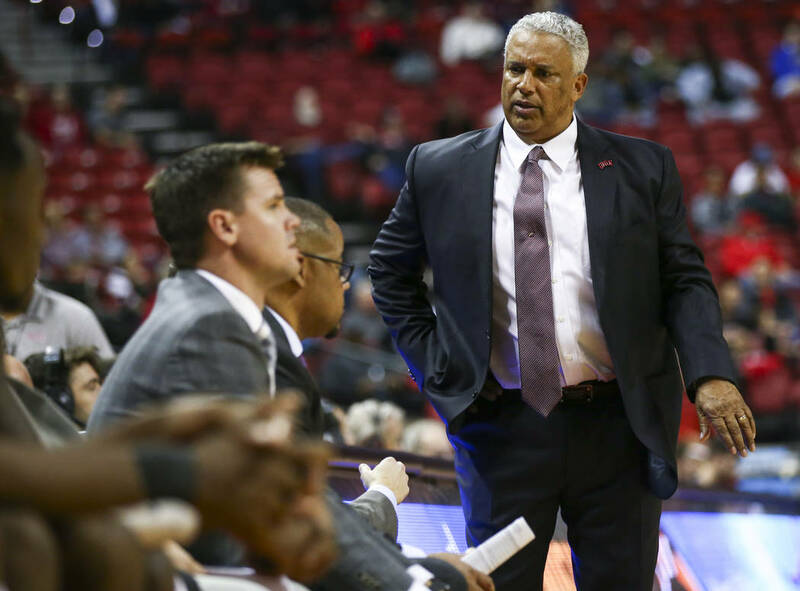 Juiston has always shied away from a lead role but is more than capable of being that type of presence. 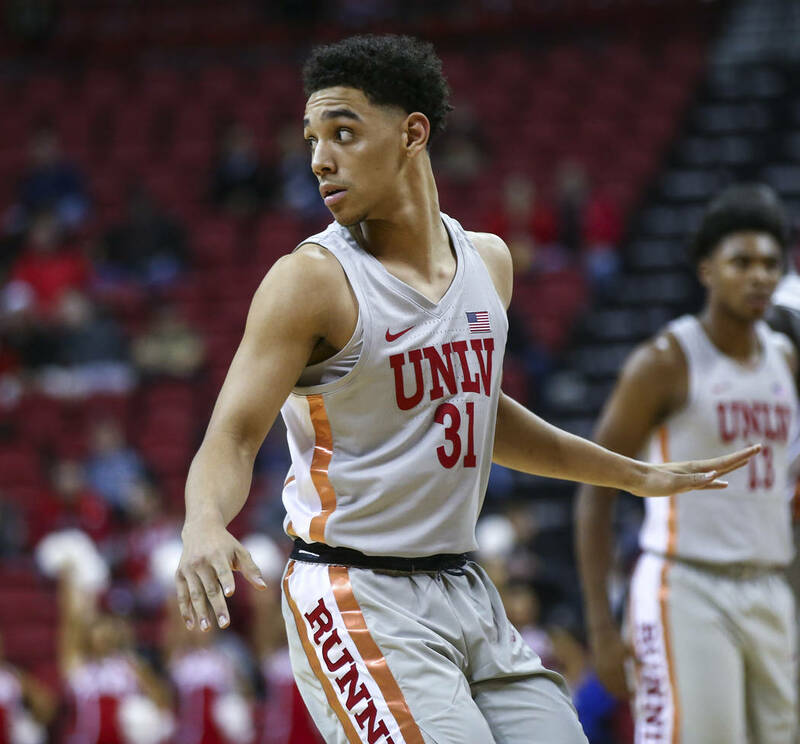 More Rebels: Follow online at reviewjournal.com/Rebels and @RJ_Sports on Twitter.